The report found that half of the inciting posts were related directly to politics and most of them targeted Arab parliamentarians. In May 2018, the Israelis posted more than 115,000 posts on social media that included insults, racism and called for practicing violence against the Palestinians. Facebook, the report said, was the main platform used for such attacks, with 66 per cent of posts on the social media platform, while 16 per cent were on Twitter. 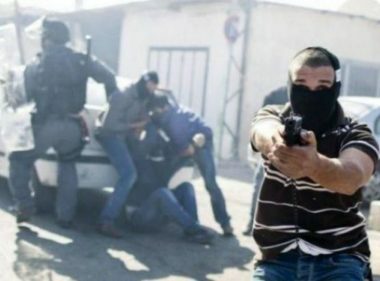 Several Israeli army jeeps invaded, Monday, the village of Kobar, north of the central West Bank city of Ramallah, and shot two Palestinian protesters. 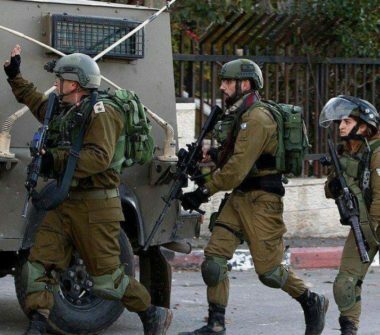 Media sources said dozens of heavily armored soldiers invaded the village, and stormed many neighborhoods, before Palestinian youngsters protested the invasion, and hurled stones at the invading forces. They added that the soldiers fired rubber-coated steel bullets, gas bombs and concussion grenades at the protesters. Medical sources said two Palestinians were shot with rubber-coated steel bullets, before being moved to a hospital in Ramallah, and several others suffered the effects of teargas inhalation. The Israeli invasion took place while the soldiers bulldozed and destroyed a road connecting Kobar with Beitillu nearby village. 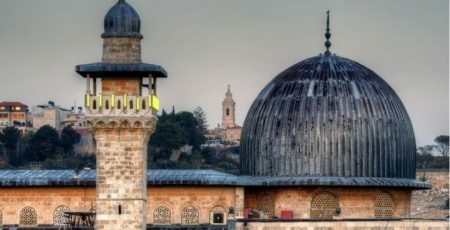 Religious freedom at the Al-Aqsa Mosque compound is severely disrupted by the Israeli occupation, with almost daily incursions by illegal Israeli settlers, under the protection of Israeli police. Israeli Authorities also decided recently to silence the call to prayer or Adhan, which is announced for each of the 5 prayer times per day, at the Ibrahimi Mosque in Hebron. The Ibrahimi Mosque was the site of the Hebron Massacre where, in 1993, U.S. citizen and radical right-wing Zionist Baruch Goldstein shot and killed 29 people who were praying at the mosque. After the massacre, Israeli authorities took over the mosque and split it in half, turning half of it into a synagogue. Article 49 of the 4th Geneva Convention states that Israel is prohibited from transferring any part of its civilian population on to the land which it occupies. But approximately 500,000 – 600,000 Israelis live in settlements across the occupied West Bank, in direct violation of the 4th Geneva Convention. A Palestinian young man was pronounced dead at midnight Monday after he succumbed to an injury he sustained while taking part in the Great March of Return rally on March 1,2019 in the east of Al-Burij Camp, in the middle of Gaza Strip. According to the Ministry of Health in Gaza, 23-year-old Mousa Mohammed Mousa died of a serious injury after an Israeli sniper shot him on the 49th Friday of March of Return. With the killing of Mousa, the number of Palestinians protesters who have been killed by Israeli occupation forces since the March of Return started on March 30, 2018, has risen to 270 martyrs. A horde of Jewish settlers on Monday afternoon attacked Palestinian farmers in Burin town, south of Nablus, as they were working their lands. Burin mayor Yahiya Qadous said that more than 25 settlers from the illegal settlement of Yitzhar brutalized a group of farmers as they were plowing their plots of land in al-Mayadin area, south of the town, and tried to expel them from their own lands. After obtaining a permit from the Israeli military authorities, the farmers had brought agricultural tractors to their lands in the morning to plow them. They have been prevented many times by the Israeli army to reach their lands at the pretext they are located near Yitzhar settlement. On the morning of March 4th Israel’s occupation forces opened fire on three people in a car after a collision in the village of Kufr Nimeh, northwest of the city of Ramallah on the occupied West Bank, killing two youths and wounding one. THE INCIDENT According to eye-witnesses, the victims were leaving to work at 03:30 am when their car collided with a stationary Israeli occupation forces’ armoured personnel carrier, hitting it behind a back wheel, at the entrance to the village, after a slight curve in the road. Palestinian sources say that the incident appears to have been a normal car accident resulting from bad weather conditions. One Israeli occupation soldier is claimed to have fired all the bullets, between 15-20, which hit the victims and their car – according to Palestinian source. Israeli occupation media reports that there were multiple shooters. Those killed were Amir Mahmoud Daraj(20) from the village of Kharbatha Al-Misbah and Yousef Raed Anqawi(20) from the village of Beit Sira. Both villages are in the Ramallah area and are situated close to each other. The wounded is Haytham Basel Alqam(20) from the village of Safa. His wounds are described as ‘mild’. All three youths worked as guards in a school the town of Beitunia or in a bakery according to different, conflicting reports. . The victims were shot while they were inside their car after the incident, the driver further incapacitated by the airbag, which had inflated. Photograph show a vast pool of blood mixed with rainwater beside and under the victims’ car. Israeli occupation forces left the victims’ bloody clothes behind, which means that they were undressed in the cold and wet conditions. At which point Al-Misbah and Anqawi exactly died, and whether anything could have been done to save their lives, is unclear. Two Israeli occupation forces soldiers in the military vehicle or standing near it were injured according to Israeli occupation, one ‘seriously’. In the aftermath Israel’s occupation troops besieged the entire village of Kufr Nimeh, blocking travel in and out of the village. 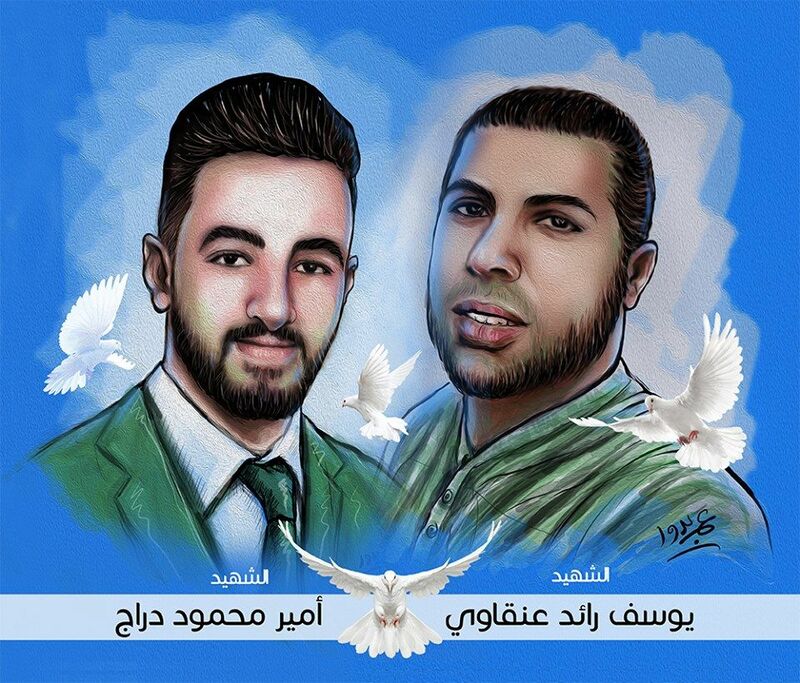 Occupation troops have raided the village and attacked demonstrations against the killing of Al-Misbah and Anqawi, including on Friday March 8th in Anqawi’s home village of Beit Sira. In that attack on protesters Israeli occupation soldiers used live ammunition, rubber-coated steel bullets, tear gas grenades and sonic grenades, wounding 5 people. CONTEXT Israeli occupation forces had raided the village of Kufr Nimeh before the incident late at 02:30, clashing with locals and kidnapping a man named Yousef Mahmoud Al-Deek(42). 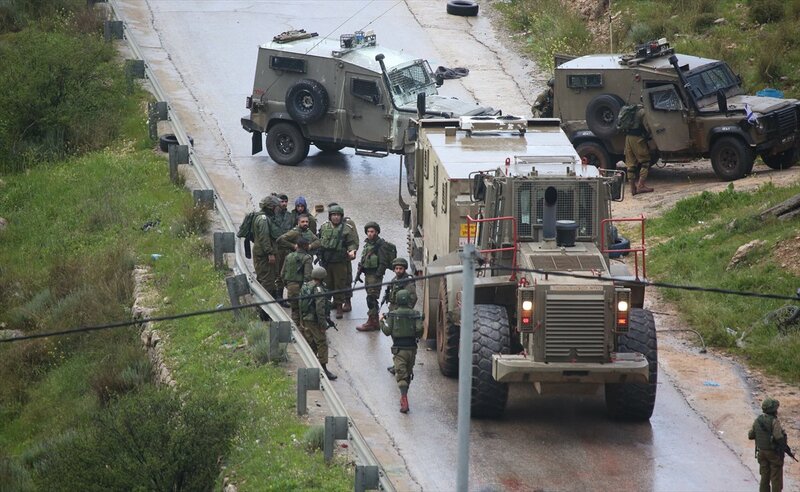 The occupation forces’ vehicle involved in the incident had broken down at the village entrance as a result of ‘a mechanical failure’ during the raid according to Israeli occupation. The weather was described as rainy and foggy by a driver who passed the site of the incident just before the victims. According to him he was just 6-10 meters from the occupation forces when he recognized them as Israeli occupation soldiers. He briefly spoke with an occupation soldier in Arabic, who told him to go away and that their vehicle had broken down. He was still so close to the site when the incident took place that he heard 15-20 gunshots after the collision. ISRAELI OCCUPATION CLAIMS Israeli occupation immediately declared that the victims would have tried to commit ‘a car ramming attack’ and almost immediately ordered their family homes destroyed; collective punishment is a war crime and now it comes in the immediate aftermath of an incident, based not even on a cursory study of what took place, but a prejudice based on the identity of the people involved. A case of what ‘law and justice’ looks like under Apartheid. That it was late night before dawn, rainy and foggy with low visibility and a wet and slippery road, and that the victims were unlikely to know that an occupation vehicle was at the side of the road nor recognize those in it and around it as occupation soldiers far away enough to react and deliberately hit the vehicle doesn’t play any role in Israeli occupation version of the events, based on the same racist occupation attitude. The only thing which Israeli regime takes into account are the ethnic-religious labels. The claim of ‘a car ramming attack’ seems to have no basis in facts. No confirmed vehicular attacks against occupation forces or illegal Israeli settlers in which more than one person would have been in the vehicle have taken place in the occupied territories at least in the last decade. They are acts of individuals, who tend to leave behind wills or messages to give the incident a context from their own point-of-view. Illegal Israeli settlers have killed a young man in the occupied city of Hebron today Tuesday March 12th. Yaser Fawzi Shweiki(27) was shot by illegal Israeli settlers at the entrance to the Rajabi family home, taken over by illegal Israeli settlers, and left to bleed to death. 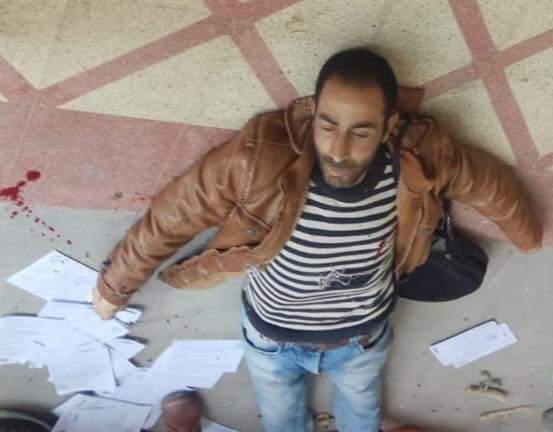 Earlier report said that Shweiki had been killed by Israel’s occupation forces’ soldiers. The Rajabi house is situated in the Wadi al-Hussain neighbourhood near the illegal Israeli colony of Kiryat Arba in Hebron. Israel’s occupation soldiers stopped Palestinian ambulance crews from reaching Shweiki and didn’t give him first aid themselves. Israeli occupation has made the standard claim of ‘tried to stab’ to excuse the illegal settlers’ shooting of Shweiki and letting him die without medical aid. According to Shweiki’s father his son worked as a messenger for a religious court and was delivering messages in the area. Israel’s regime unilaterally ended international monitoring mission in Hebron earlier this year. The mission, with a staff of 64, was established after the Ibrahimi mosque massacre committed by US-born illegal Israeli settler Baruch Goldstein in 1994, and threats from Israel’s occupation forces and illegal settlers also caused the ending of the independent EAPPI monitoring mission at the same time.